Did you know that 1 Person + 1 Sleeve per day = 5.5 Lbs Garbage/Year? When you add it up, those little paper cuffs create a lot of unnecessary waste. 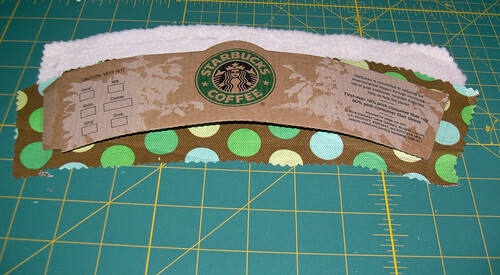 A reusable coffee cuff is a quick and easy gift to make for your coffee-loving friends and family. 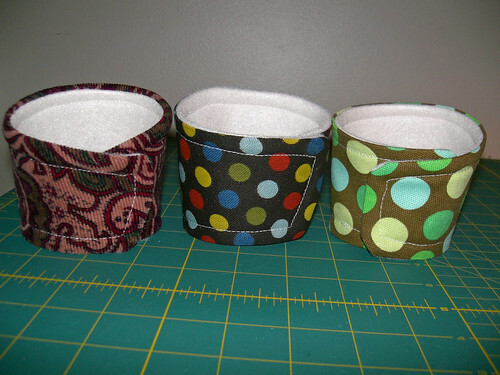 Basically all I did to make these was loosely trace a Starbuck’s cuff so I had the coffee cuff shape and size to fit a standard cup. After that I sewed right sides together, turned right side out, topstitched, and attached a little velcro circle to the ends to close the cuff. That’s it! I made 5 of these last night and it took less than an hour. 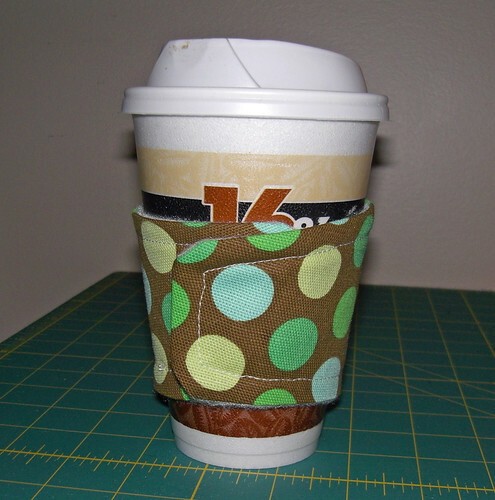 I think this is a great last minute gift since they are so simple to make. And best of all, they were completely made with leftover fabric from my stash, the exteriors are heavy home-dec weight and the linings are fleece. Your friends (and the earth) will thank you!